Mark your calendar with SymfonyLive Cologne 2017 ! The SymfonyTour continues! After Paris on March 3Ost and 31st, the Symfony community will meet in Cologne, Germany, on April 6th and 7th. Come and meet us for the German conference of the year. The Drupal community is one of the largest open source communities in the world. They’re developers, designers, strategists, coordinators, editors, translators, and more. 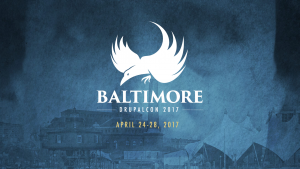 Each year, they meet at the biggest Drupal event in the world: DrupalCon North America. This year, from April 24-28, it’ll be in Baltimore, Maryland. The British SymfonyLive is coming back in London on September 2017! Don’t miss the biggest UK Symfony event of the year! SensioLabs is proud to organize the 6th edition of the British Symfony conference and to welcome the Symfony community from all over the UK. Take your tickets now for these Symfony days and plan your trip to the Square Mile this fall! SymfonyLive San Francisco is back in October 2017! This event will be an excellent opportunity to meet our North American community, and to spread the Symfony expertise in this continent. We are very pleased to go back to Crunhyroll’s offices, in the heart of San Francisco where everyone will have easy access. Mark your calendars for October 19th and 20th, 2017 and plan your trip to the Golden City. SymfonyCon Cluj 2017, here we come! Come with us to Cluj, Romania and celebrate Symfony the real way! SensioLabs is proud to organize the fifth edition of the SymfonyCon, the international Symfony conference, in Cluj from November 14th to 18th. Get ready to celebrate Symfony in 2017!